Good morning, crafty friends! Here it is November 1, and the start of the holiday season! 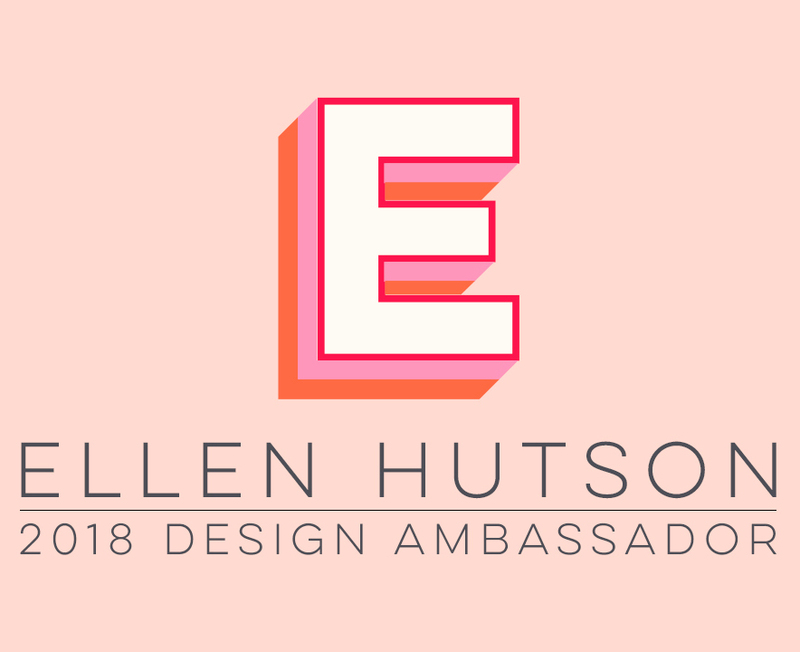 To help get you in the holiday spirit, Pinkfresh Studios is having holiday inspiration blog hops today and tomorrow and I'm participating today for the Ellen Hutson LLC shop. <--Because you know that's my favorite online retailer of all your crafting needs! ;-) You can find the Pinkfresh Studio products at Ellen's shop HERE. I adore this sweet Great Joy stamp and coordinating die set -- aren't those woodland animals absolutely the cutest?!! I gold heat embossed this beautiful wreath image onto watercolor paper, then watercolored the images with my Gansai Tambi watercolors, using minty green, dark pink, and aqua colors. The bow was stamped with Picked Raspberry Distress ink onto watercolor paper that was watercolored with lighter pink. Then I shimmered the bow and accented some of the lovely details in the wreath -- the candy canes, animal bows & scarves, holly & berries, bell -- all great iconic holiday images that really put you in the holiday spirit! To finish this card, I popped the bow and wreath up on foam tape onto the watercolor card base, which has the pretty sentiment gold heat embossed and stamped with Memento Rose Bud ink. Finally, I cut a 1/4-inch strip out of the lower portion of the card front and watercolored the strip with the same pink watercolor as in the wreath, then adhered all the card front pieces onto the card base. Thanks so much for joining us today for a little holiday inspiration! Remember you can find Pinkfresh Studio products at Ellen Hutson LLC whenever you are doing the rest of your crafty shopping! -The Pinkfresh Studio blog will be giving away a holiday stamp bundle grand prize on each day of the blog hops at their blog! (Prizes will be pictured each day on their blog). -They will also be giving away (6) $25 gift cards to the Pinkfresh Studio store randomly from all of the blog hop comments each day. -That is 12 chances to win over the two days, plus the grand prize bundles on the Pinkfresh Studio blog! -Winners will be posted on Sunday, November 11 by 2pm CST on their GIVEAWAY PAGE. You are responsible for checking that page and claiming your prize within two weeks. Head over to the Pinkfresh Studio blog to find the list of all hop participants, so you can check out all the wonderful holiday inspiration ... Happy hopping!